Sydney based Punk legends Whatever, Forever have announced a run of upcoming shows in Brisbane. The band will be tearing up the stage at Crowbar on 9th February alongside Greywood, Vitals and Grizzlyshark. They will also be playing an all ages show at 38 Berwick St on Sunday 10th. Whatever, Forever have been a consistently evolving machine since their inception in the dawn of 2016. With two releases under their belt to date, 2016’s “Teach Me What Love Is Again” and 2017’s “Decay”, the collective of friends has solidified into a passionate line up, ready to bring their engaging live performances to new faces. Their two new singles “Bridges//Whispers” ooze with ferocity and have struck a chord with listeners around Australia. The band has shared the stage with high profile international acts such as Turnstile (US), Casey (UK) and Listener (CAN), as well as the road with friends Stuck Out and Zen Haircuts. As A Rival are back – and they’re here to kick the door down with their second full length album, ‘Griefers’ – which will see its release into the world on Friday November 2. Today, they are heralding its imminent arrival into the world with anthemic new single ‘What We Got’. Pre-Orders for the album will go live this Friday September 21, with the single available for streaming and purchase same day. All Pre-Order links and streaming options will be at http://asarival.com. The new single What We Got blasts away from As A Rival’s usual vein of punk rock showing a maturity and diversity in their songwriting, delivering a power punk ballad that will hit even the hardest of hearts. It’s about when someone you love is struggling through a dark time in their lives, holding onto the tiniest of threads, and doing everything possible to comfort them through it. It is an anthem about holding on to the good around you when you’re almost ready to give in to the flames. ‘Griefers’ is a gaming term used to describe those who play alongside you only to turn against you, cause you pain and hinder your progress. The same can be used to describe the people we let into our lives. Pete explains, “We go through life meeting people. Connecting with them. Let them in, share with them our passions, our dreams. Some people glide in and out naturally, but others will smile at you while they fight to destroy everything you’ve built.” ‘Griefers’ encompasses the hurt you have to face to crawl out of the mess and deal with the aftermath. Life is about the fight for what you believe in. ‘Griefers’ acknowledges these trying times – the times when you do fall but that it’s ok, as long as you climb even higher as a result. ‘Griefers’ pays homage to a number of influences and genres culminating into what is As A Rival’s best release to date. From the raw gallop of lead single, ‘Bring Out The Dead’ to the power and grace of ‘What We Got’. The anthemic hooks of ‘Head In The Clouds’ to the burst of energy that is ‘Coup De Main’. The album is full of riffs, hooks and sing-along choruses that keep you coming back for more. They have seamlessly collected the promises from their debut album ‘By Design’ and set them on fire, constructing a new sound from the ashes. ‘Griefers’ is not just a collection of songs, but a statement, a stamp in time outlining the challenges that have landed in their path. However, instead of dwelling on the issues and letting it hold them back, it’s time to let go. They decided to let the past die – kill it if you have to. Pete Cerni (vox/guitar) and Nathan Wheatley (drums) are joined by Johnny Beech (guitar) and Paul Trevorrow (bass) to deliver a powerfully polished punk rock album. After the tease of previous releases, what remains is a certainty and drive that screams that they are the rival they have always threatened to be. Pre-Order As A Rival’s new album ‘Griefers’ from this Friday September 21, for release Friday November 2. For more information, go to https://www.asarival.com. Caroline Australia is proud to announce the release of ‘Joe Strummer 001,’ the first compilation to span Joe Strummer’s career outside of his recordings with The Clash. ‘Joe Strummer 001’ features 32 tracksand includes favourites from his recordings with the 101ers, The Mescaleros, his solo albums, soundtrack work plus 12 previously unreleased songs. 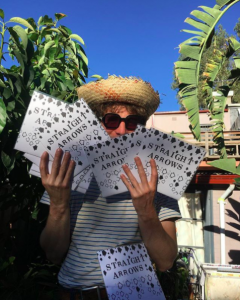 Limited edition Deluxe Box set: Quadruple heavyweight Vinyl, 7” vinyl single, cassette, 64 page hard backed A4 Note Book, enamel badge, art print, screen print, lyrics, sticker sheet and includes 3 more unreleased tracks (IGN53BOX). Limited edition Deluxe Double CD in 64 page hard backed A4 Note Book with writings, lyrics, photos and sketches taken from Joe’s extensive personal archive (IGNCD53X). ‘London Is Burning’ – an alternative/early version of ‘Burnin’ Street’ from Joe Strummer & The Mescaleros final album ‘Streetcore’ – is available now. All the formats include tracks that have never appeared anywhere before as well as new remasters. Exclusive to all formats is an album of unreleased material including an early demo of ‘This Is England‘ entitled ‘Czechoslovak Song/Where Is England,’ a solo demo of ‘Letsagetabitarockin’ recorded in Elgin Avenue in 1975, outtakes from ‘Sid & Nancy’ featuring Mick Jones and unreleased songs ‘Rose Of Erin’, the biographical and mythical recording ‘The Cool Impossible’ and ‘London Is Burning’ one of the last songs Joe recorded. Punk pioneer, singer, songwriter, recording artist, activist, musical and political inspiration for a generation and mighty diamond Joe Strummer was the most charismatic and passionate front man to emerge from the punk explosion of the late seventies. After Joe’s untimely death in December 2002 it was discovered that he had been quite an archivist of his own work, having barns full of writings and tapes stored in his back garden. There are now over 20,000 items in the Joe Strummer Archive. The archiving of this material and compiling of ‘Joe Strummer 001’ was overseen by Joe’s widowLucinda Tait and compilation producer Robert Gordon McHarg III. All tracks were restored and mastered by Grammy Award winner Peter J. Moore at the E. Room in Toronto Canada. On going through cassettes and recording tapes it was discovered that Joe was rather frugal and keen on hiding tracks. On cassettes he would leave 20 minutes between songs. On the 1” 8 track recordings it was discovered there were hidden tracks superimposed onto each other. For example tracks 1-4 were taken by one song and tracks 5-8 by two other songs which were thought when played back to be caused by tape denigration until the tapes went to Peter J Moore who was able to separate one song from another. The box set has the same content as the CD set and is pressed on audiophile quality 180g vinyl. The box set’s accompanying hard backed book also included in the Deluxe CD features rarely seen and previously unpublished memorabilia from Joe’s personal collection as well as historical press reviews and technical notes about the albums. The slipcase cover of all formats is taken from Joe’s 1990 Californian driving license. 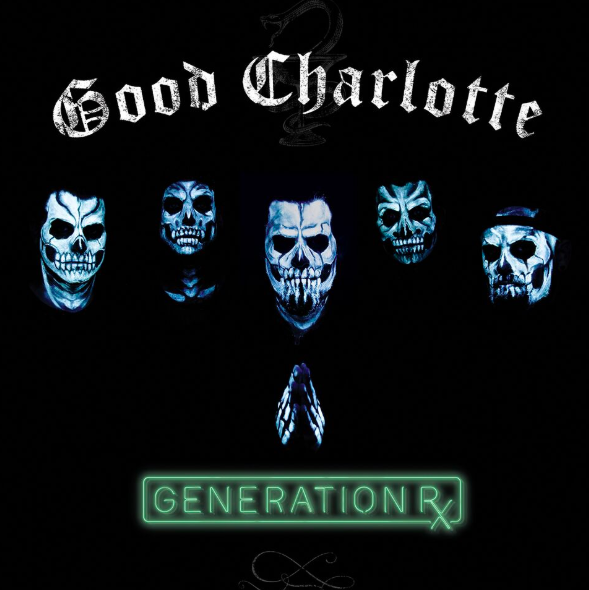 Good Charlotte announce that they will release their anxiously awaited seventh full-length studio album,Generation Rx, on September 14, 2018. It marks the first record to be released under the newly minted global partnership between the band’s MDDN label and BMG. Generation Rx represents both a new chapter and full circle moment for the group—brothers Joel [vocals] and Benji Madden [guitar, vocals], Billy Martin [guitar], Paul Thomas [bass], and Dean Butterworth [drums]. Powered by punk spirit, rock songcraft, and cinematic ambition, they retain the signature vitality and vulnerability of their formative years, while delivering an urgent, unafraid, and undeniable message befitting of two decades in the game. The quintet craft intricate, yet infectious anthems of hope for a generation under the shadow of the Opioid epidemic, icons gone too soon, mass tragedy, loneliness, and confusion. Produced by Zakk Cervini and Benji during intimate sessions at MDDN headquarters, the record finds Good Charlotte doing what they do best—speaking directly to the youth. 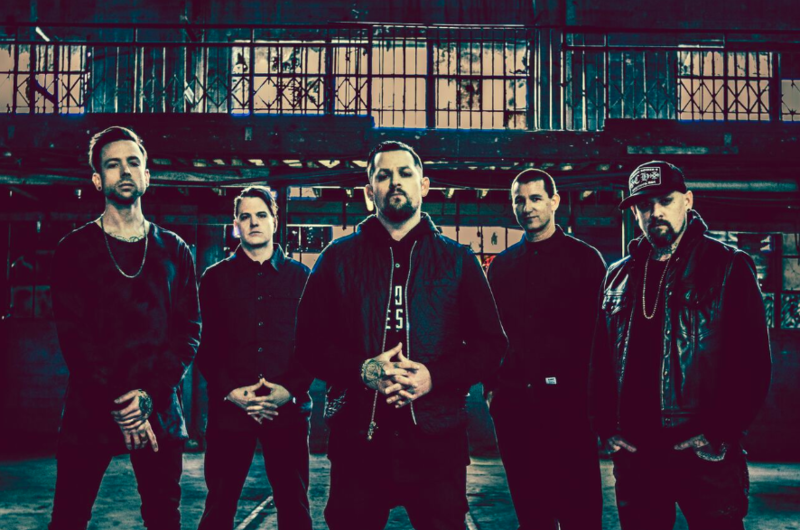 Good Charlotte will return to the road in Europe and The UK for a massive tour kicking off February 1, 2019. A special fan club pre-sale goes live May 29 HERE. Prior to their February tour, Good Charlotte will appear at a number of festivals this summer. A complete list of upcoming live dates and ticket information can be found HERE. 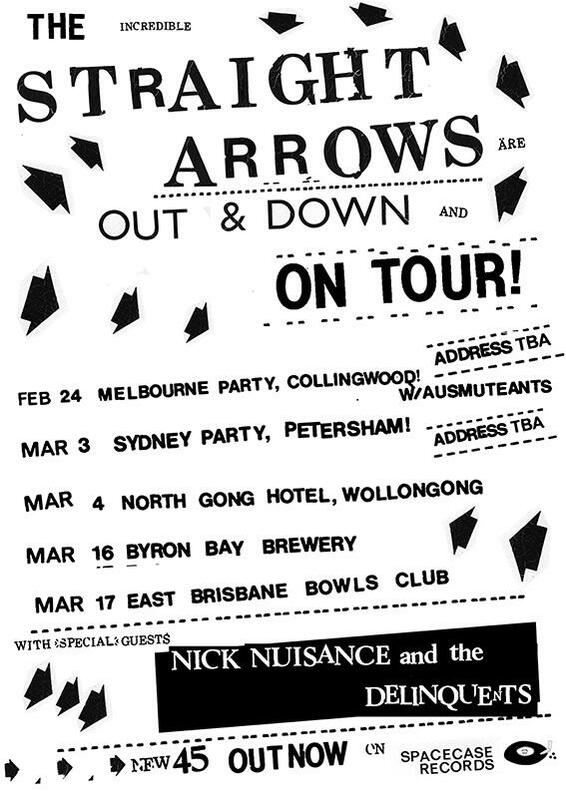 With a string of BIG hits behind them, STRAIGHT ARROWS are fast becoming one of this island’s most popular underground groups. The Sydney band have spent their time honing their fresh reverb-laden, fuzzed out, psychedelic punk sound into scrappy perfection on their own terms, and in the process have gained a cult following and an outstanding reputation worldwide. After spending the last while touring the UK/Europe, then hitting the USA with the OH SEES, their BRAND NEW chart-topper ‘OUT AND DOWN’ is their first single of 2018; an ode to a friend’s recent coming out, an invitation to celebrate, and sure to be the start of BIG things for the group.